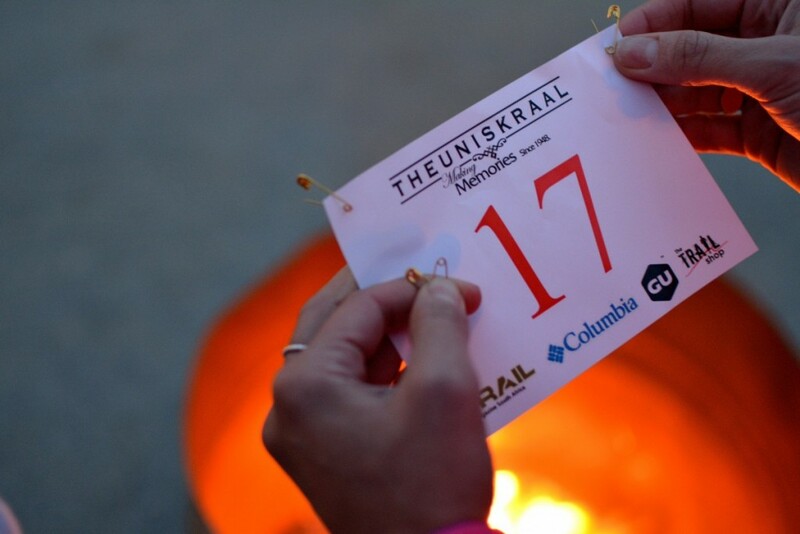 The past weekend of 26/27 June Theuniskraal wine farm in Tulbagh hosted the second annual Theuniskraal Trail Festival as part of the Tulbagh Valley’s “Christmas in Winter” wine festival. The trail festival itself is organised by the Columbia/GU/TRAIL team in partnership with The Trail Shop and this year offered runners the choice of three distances for the Saturday (being 7km, 15km and 25km) as well as a 7km night run on the Friday evening. As in the previous year’s event, the 7km and 15km routes contain a good mix of both single and jeep track, with a couple of river crossings thrown into the mix to add to the fun. “Fun” is used loosely when negotiating ankle deep water 2km into a run with the temperature still in the single digits. 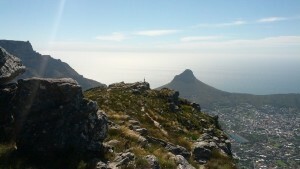 The 25km route was a new option this year, adding an additional 10km loop to the existing 15km route. All three distances start from and loop back to an area outside the tasting room on the farm, with hot coffee, farm food and (of course) wine available for sale throughout the day. 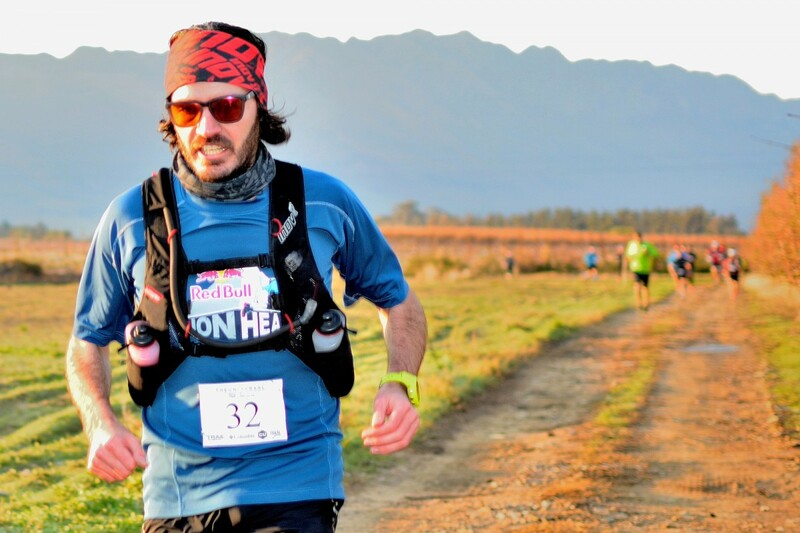 As far as the routes themselves go, both the 7km and 15km are fairly flat and definitely suitable for even beginner level runners – the total elevation gain for the 15km route being less than 200m and all of it completely runnable. The 25km is a little more of a challenge, with the bonus 10km containing some seriously steep jeep track and two fairly technical downhill sections. 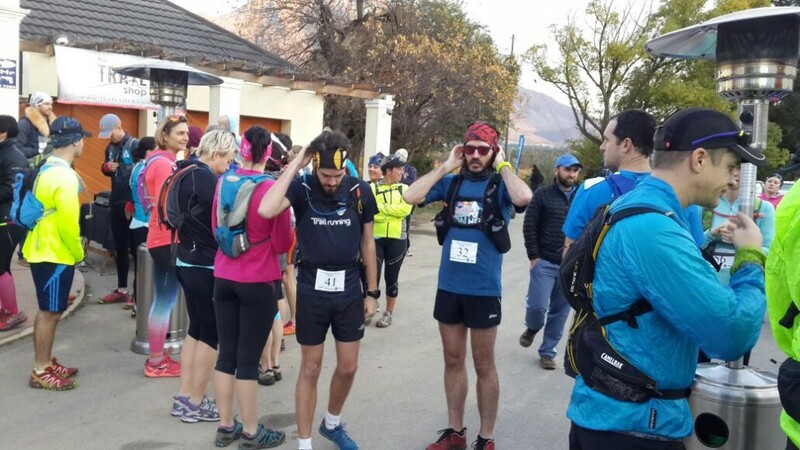 The scenery is amazing all around though and includes sections run on dam walls, fast switchbacks in a small pine plantation and even a climb over a fence, all the while with the spectacular snow-covered Winterhoek Mountains providing a beautiful backdrop. 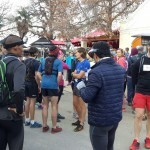 The routes were also very well marked, with ample signage for the different distances and brightly coloured bunting in exactly the right places – no doubt at least in part due to the organisers being experienced trail runners themselves. 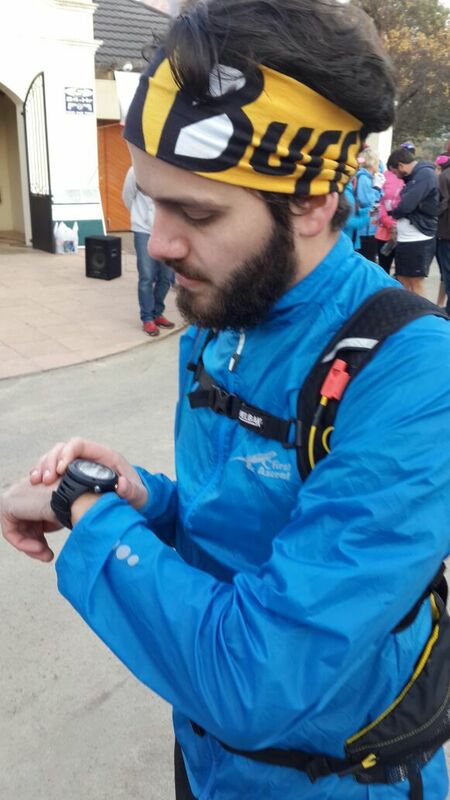 The 7km was a fast and furious affair, with Rynard van der Merwe the first back home in a time of 39:39, and Petro Bruwer taking the ladies title in 45:20. 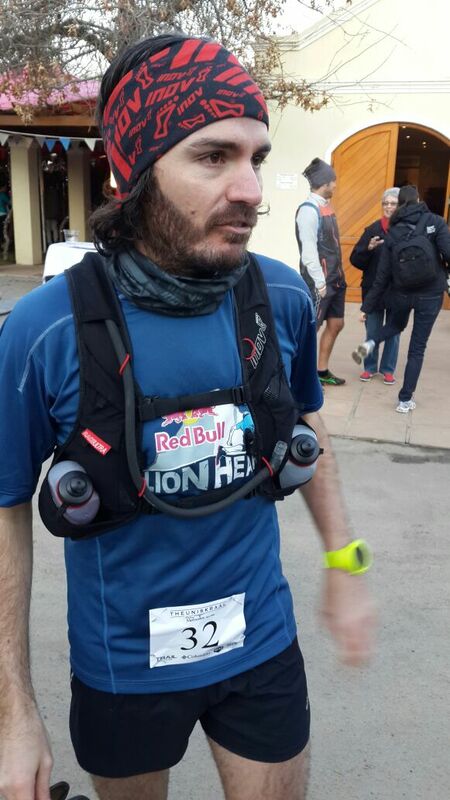 For the 15km route, defending champion AJ Calitz was back this year to see if he could make it two in a row. 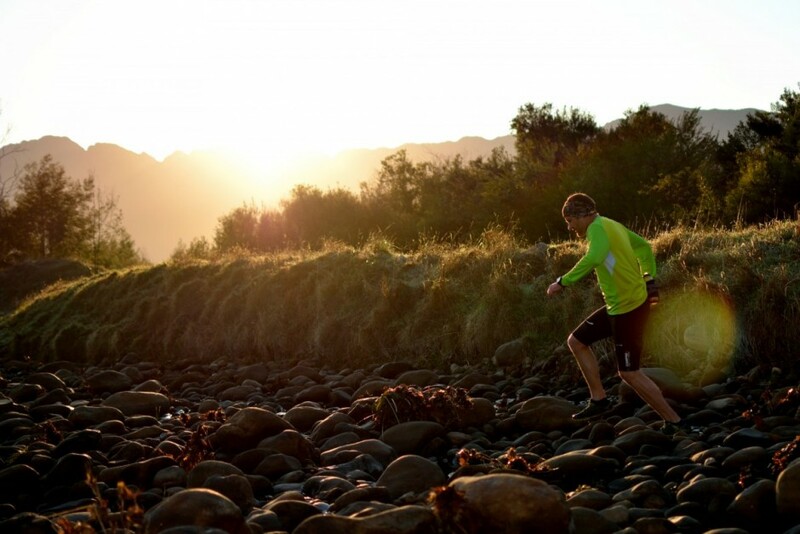 Although he would normally see a 15km as nothing more than a quick warm-up trot, he is busy tapering before tackling the Fish River Canyon Ultra this coming weekend and therefore didn’t enter the longer distance. 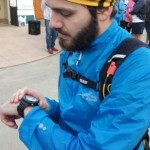 He still managed to blitz the course in a lightning fast time of 54:07, about two minutes faster than his winning time posted last year, thereby successfully defending his title. The ladies race was a very tightly contested affair, with Elnora Crous just beating Meg Blair to the line in 1:17:35. 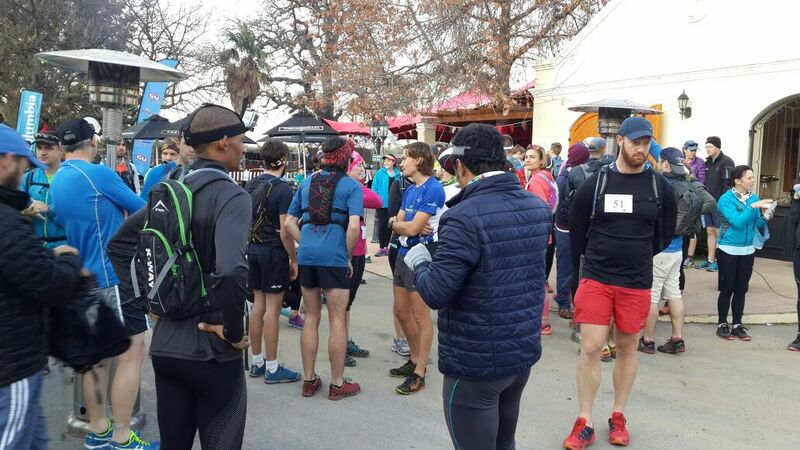 The 25km race started a little later than the advertised 8.15am due to a couple of registered runners that were a little late in arriving. This was fine with most of those involved though, as it gave us another couple of minutes next to the gas heaters as we were waiting for the sun to start warming up the icy cold valley floor. When racing started at 8.30am it was still very cold and the pace was dictated more by the runners’ will to warm up than anything else. 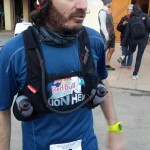 Franz-Erich Streicher took the men’s title in a time of 2:05:36, while Kate Warner was the first lady home in 2:31:09.